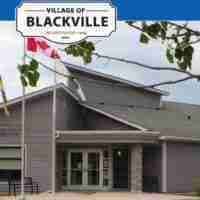 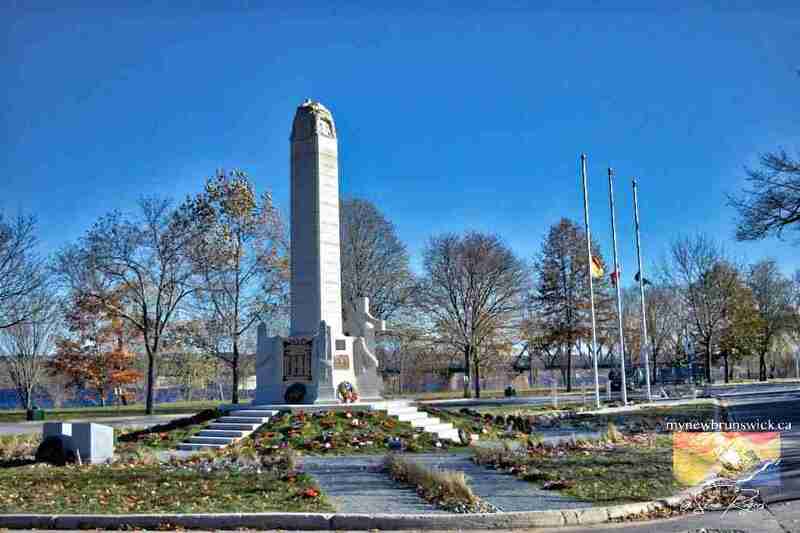 Very shortly after the end of World War I, a group of public-spirited citizens decided that some form of lasting memorial should be erected in Fredericton to honour those members of the community who laid down their lives for their country during the conflict. 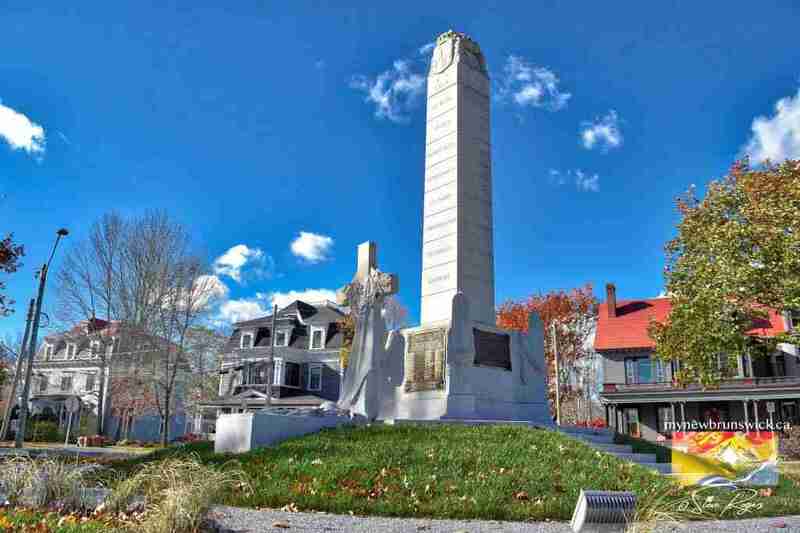 A committee was formed, called the Fredericton War Memorial Committee, under the chairmanship of Mr. Justice O. Crocket of the Supreme Court of Canada, formerly Member of Parliament for York-Sunbury, to study the matter and to transform the thought into action. 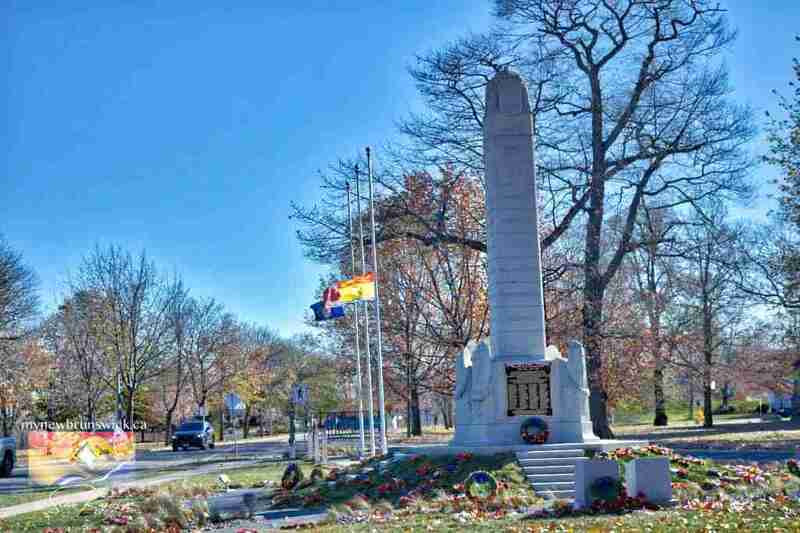 Dedicated on November 11, 1923 to the memory of the 109 Fredericton soldiers who died in WWI, the monument’s 14-foot tall white granite column is inscribed on all four sides with names of the battles in which they fought. 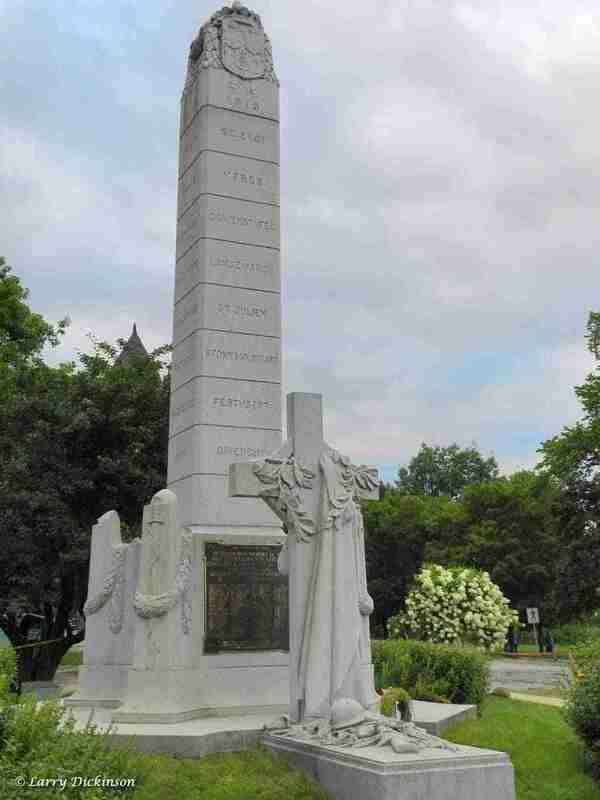 The column is supported by a 26-ton carved stone base, said to be one of the largest blocks of cut granite in Canada. 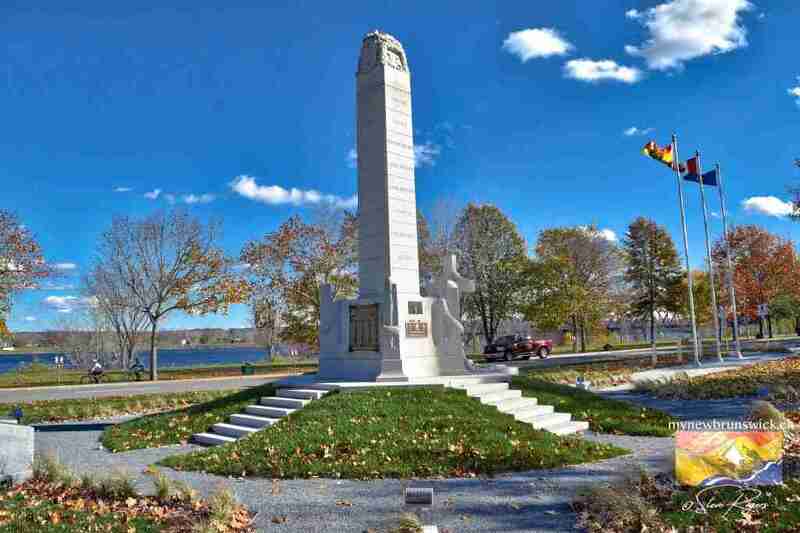 Similarly to cenotaphs across Canada, the Fredericton War Memorial eventually added inscriptions and names of the City’s soldiers who gave their lives in WWII and the Korean War.